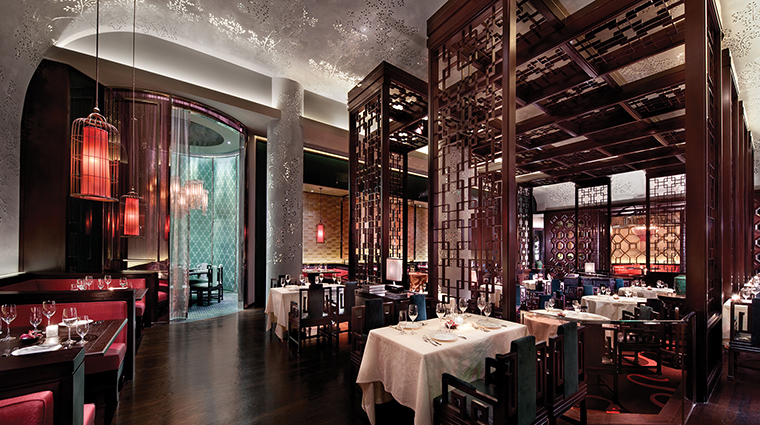 Blossom, the fine-dining Chinese restaurant at ARIA Resort & Casino, prominently features a birdcage motif that gives it an air of authenticity — in Chinese culture, the birdcage is a symbol of style and sophistication. Encased within an intricate wooden lattice, its central sunken-in dining area is refined and elegant without being over the top, thanks to a soothing color palette of rose, metallic sea foam and gray. This poised vibe extends to the food. 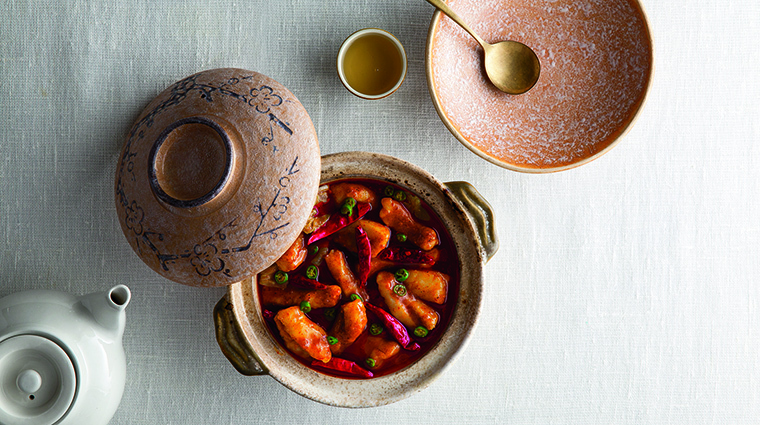 The 100-plus-item menu is predominantly Cantonese with Sichuan thrown in for flair, but also boasts a large selection of the favorites that are popular in America, such as eggrolls, kung pao chicken and chow mein. Don’t visit this Vegas restaurant expecting dim sum. Lunch is only offered two weeks during the year: between Christmas and New Year’s and during the Chinese New Year celebration. Blossom only serves dinner, but it’s open seven days a week. You won’t want to miss out on dinner at Blossom. Call 877-230-2742 to book your table. The Las Vegas restaurant has a business casual dress code. Ladies will want to don a cocktail dress and gents will feel comfortable in slacks and a button down. Expect to hear “get the shrimp toast” if you happen to encounter a Blossom regular prior to your reservation—heed this advice. Butterflied shrimp is flash-fried on white toast sliced at just the right thickness to balance the oil and bread. 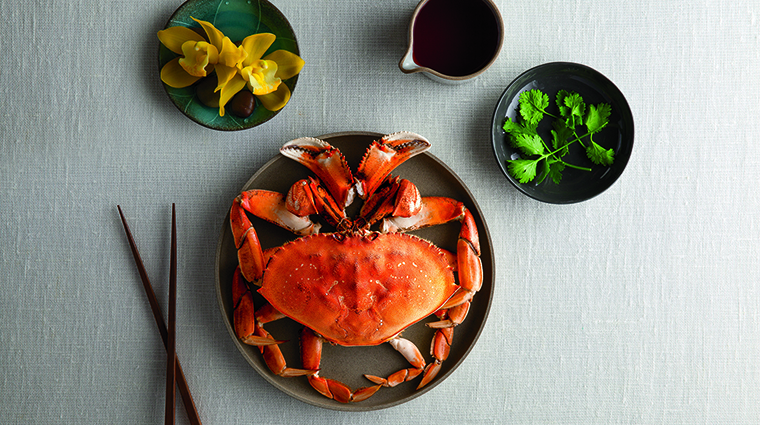 The Australian lobster tail in spicy XO sauce generously comes with two six-ounce pieces of buttery white meat. And the shrimp paste romaine lettuce hot pot is unlike any other “salad” you have ever tried before — sizzling, yet still crisp. 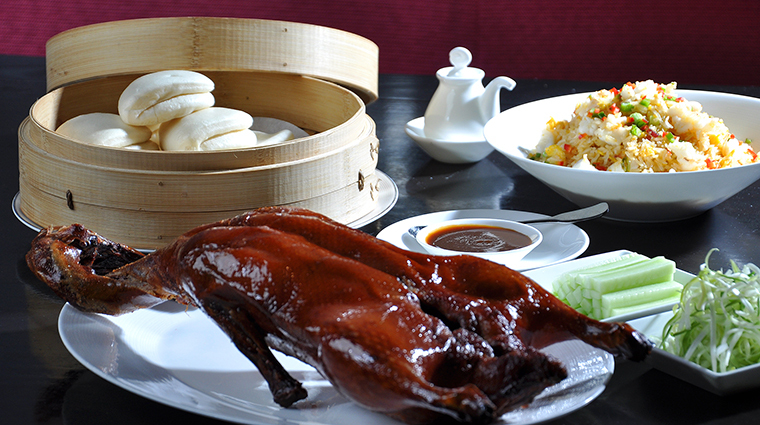 You won’t want to leave without trying the Instagram-worthy Peking duck. 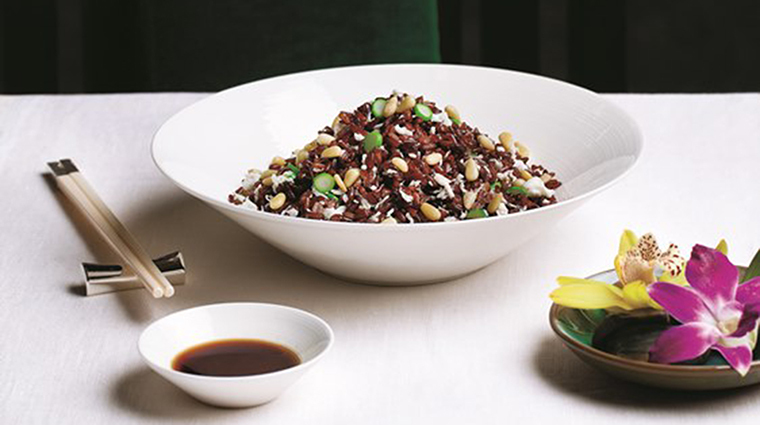 The meat, crowned with a sliver of crispy skin, rests delicately on either a puffy bao (stuffed bun) or a paper-thin pancake, topped with hoisin, scallion and cucumber. Concrete pillars dot the space — like trees in the forest — adorned with a glass mosaic that forms leaves and branches. The chandeliers, however, have the most profound impact on the room, ranging from birdcages to ornate clusters of dewdrop-inspired crystal and metal lighting fixtures. Along the perimeter, find banquette seating separated by rose-colored partitions. Two private dining rooms and two semiprivate dining nooks create a cocoon for those who like to feast under the radar. Don’t miss the three-dimensional stamped concrete dragon-motif wall roaring through the corridor that leads to the restrooms.